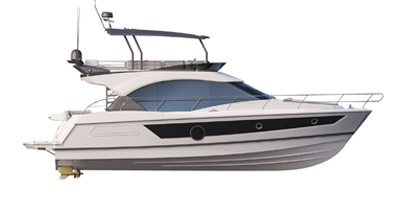 A very fast boat, the Flyer 11 Grand Prix demonstrates excellent performance in complete tranquility. The shape and dimensions of the navigation area maximises the comfort of piloting. On board, there is a perfect harmony between sport and cruise, just as there will be between you and your Flyer for a long time.